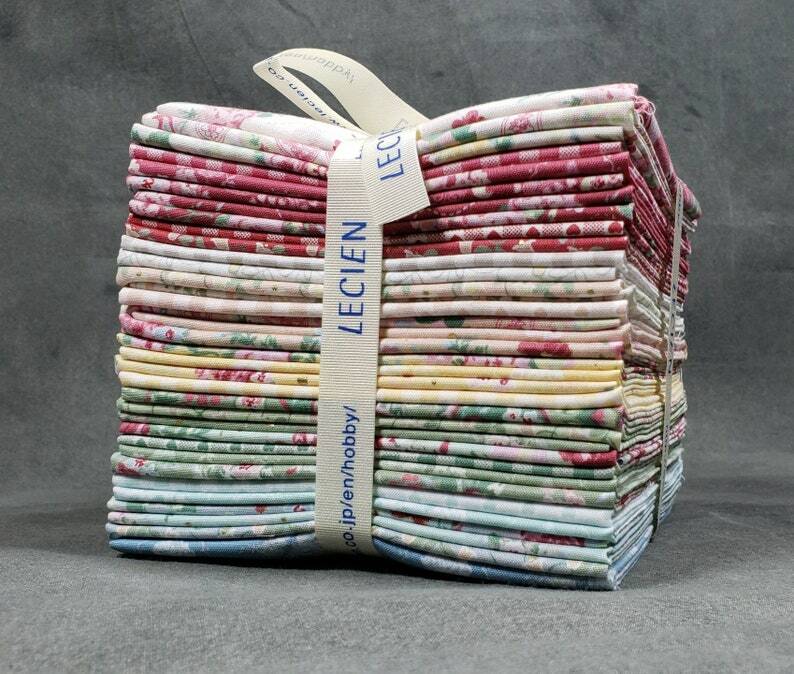 Lecien WOODLAND ROSE 36 Fat Quarter Bundle, cotton quilting fabric. Beautiful pastel florals, delicate, so beautiful you can almost can smell the roses! Stored in a pet and smoke FREE home. All my items are final sale, no refunds so please ask before you purchase. I am happy to help answer questions. Shipping overages are refunded. In Stock!! COZY CHRISTMAS Lori Holt 35 Fat quarter bundle of new cotton quilting fabric hand cut bundle & optional FQ panel Please Read!! Owner was quick to respond to my questions, provided great service and the package was delivered expeditiously. Highly recommend shopping here. The panels are exactly as expected. The customer service from the shop was first-rate! I would definitely buy from them again! Quality fabric, as described. Quick delivery -- it came two days before Etsy would allow me to post a review. Do we refund shipping overages? Yes we do! Shipping Overages over $2 will be refunded no worries! It is our goal to process, package and ship your order within 24-48 hours to make sure you receive it in the way we would want to receive it. Tracking info is updated the minute we print out a shipping label. We use plastic bags to help keep your order clean and free from accidents. After your order is shipped, we cannot be responsible if your package is lost, stolen, or undeliverable. If it is returned to us due to incorrect address it is the buyers responsibility to repay shipping fees to reship your items. We will help you locate the package by providing all relevant tracking information, but we cannot reship or refund your order. Please call your local your Post Office and/or local Customs Office if this occurs. We do not accept cancellations of orders. All sales are final, no refunds or exchanges accepted. Please Be sure to ask questions and review your items as it is yours after purchase. Do you have more of this item? Unless specifically marked in the etsy listing, all fabrics are cut to order, and are cut in continuous lengths. Happy to help you with a listing, please contact me with your request! Purchases made in haste, made in error, made without reading the listing, made by accident, made without reading the pattern requirements, purchases made on a whim, changed your mind; made by dog, cat, wind, goldfish, child, act of god; and are requested to be canceled after the fact are subject to a $20 cancellation/restocking fee. No exceptions. Our policies are clear on each listing and in our policies page for our shop. Please ask before you purchase. Sweetwater THE FEED COMPANY 35 Fat Quarter Bundle New cotton quilting precut fabric Hard to Find!